We honored a great man of God last night. 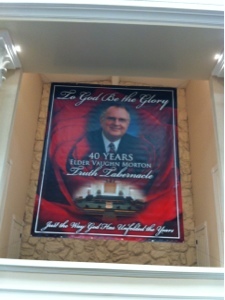 Elder Morton has pastored Truth Tabernacle for 40 years. We are so blessed to have him as our pastor!! He is a true Christian and a man that I trust with my soul. I am so thankful to be a part of this great church!